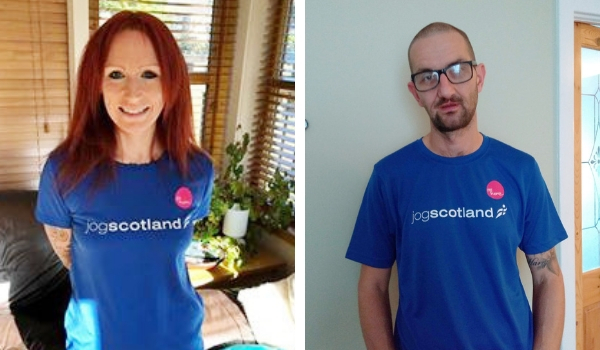 2018 jogscotland Awards Nominees Announced! We are delighted to announce the nominees for the 2018 jogscotland Annual Awards. We received an incredible 268 nominations across all four categories this year, with every single one an example of the kind of dedication, community and enjoyment that really makes jogscotland special. 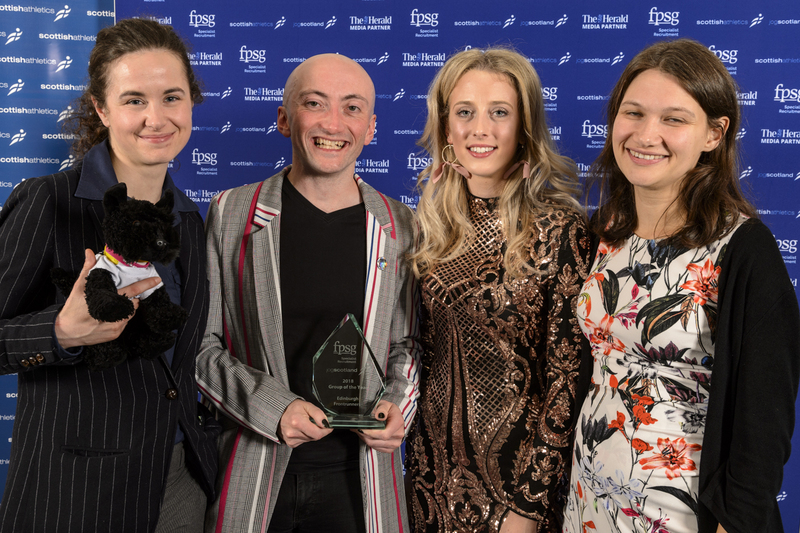 The winners will be announced at the FPSG scottishathletics and jogscotland Annual Awards Dinner, at the Hilton Hotel in Glasgow on 3 November. It promises to be a superb night, with special guest Kelly Holmes, and the chance to celebrate the very best of jogscotland alongside the wider athletics community in Scotland. Click to buy tickets online! Chris has Stickler Syndrome, which causes eye, ear and joint problems. When his health deteriorated to the point his mobility had become poor, his doctors suggested a choice between more medication or an exercise referral scheme. He began to visit the gym, improve his diet, then joined jogscotland. As a result he has lost weight and become not just more mobile, but a confident runner. He has trained as a jog leader to help others along the same path, volunteering with groups in both Dumbarton and Alexandria. Gary suffers from stage 5 kidney failure and undergoes dialysis three times a week, for five hours at a time. On being told he needed to lose weight and improve his fitness in hope of receiving a kidney transplant, he joined jogscotland Meldrum. Despite his incredibly draining treatment and variable health, he has been determined to keep up his running habit, has completed several 5Ks and continues to improve. He has not only lost weight but gained both confidence and new friends, in the face of tremendous challenges. Gillian’s twin sons have Fragile X, which affects both physical and mental development. She and husband Craig put huge amounts of effort into raising awareness of the condition, and Gillian has raised an incredible £16,000 for the Fragile X Society through events including the London Marathon and a relay marathon around the streets of Peebles. Her next ambition is an A to Z of half marathons. She has been a stalwart member of Jog Peebles for nine years. Alex and Ian are described as the backbone of the group, strong, supportive and selfless. It was clear from their nominations that they not only make great leaders of the group as a whole, but spend huge amounts of time and energy providing individual support to each member of the group to help them achieve their goals. Testimonies of this were received from a wide variety of runners, including a 79-year-old, a jogger with mental health difficulties and another in recovery from a stroke, who all felt Alex and Ian had supported them individually with great care and attention, as well as the group. Whether welcoming nervous beginners, or encouraging experienced runners to achieve more than they thought possible, Ros is praised as modest, calm and grounded, with time for absolutely everyone. As well as leading the group with heart and passion, she was key in getting Alness parkrun off the ground – one nomination said “This town runs because of Ros”. She has dedicated time and energy for many years to encourage and inspire people of all shapes, sizes and ages to get active, changing so many lives for the better. Lorna has been particularly skilled at helping beginners who thought they could never run, to exceed their own expectations. Thanks to her hard work and encouragement, a huge proportion of her original Couch to 5K group have continued to run in the long term, many of them several times a week outwith the group, making new friendships in the process. She helps more experienced runners move on to work on their stamina and speed, keeping in touch with everyone and making them believe in their own potential. Edinburgh Frontrunners is the city’s running group for LGBT+ people and straight friends. The group caters for all levels from walkers to ultrarunners. The group aims to provide a welcoming and safe space for all. Not only does it work to combat homophobia and transphobia in sport, it also supports many members with chronic health conditions and disabilities including Crohn’s disease, mental health issues, deafness and cerebral palsy. The group is a world pioneer when it comes to non-binary inclusion in running – its Pride Run 2017 was the first race in Scotland to officially recognise non-binary entrants and the group has advised on the wider move to allow event organisers to recognise non-binary athletes in Scotland. The group is very well structured, offering suitable challenges for runners at all levels, and particularly notable is the wide variety of sessions on offer, from speed reps to pyramid sessions to yoga. Members have already tackled events ranging from 5K to ultramarathon. Runners report huge improvements in their fitness, and the group has helped them achieve this without losing its original welcoming and friendly attitude to newcomers and beginners. It is praised for the “real team spirit and friendship in the group”. 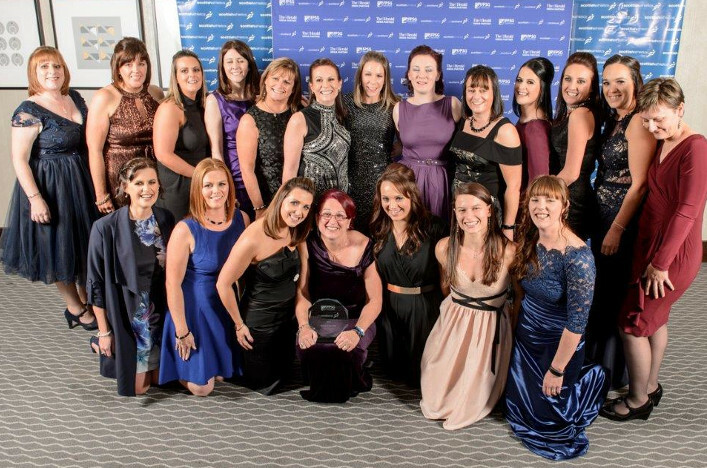 The group was set up by Pitreavie AAC “athletics mums” Nicola Moriarty and Anita Dow, when they felt they lacked the confidence to join the club’s main road running section. They decided to help others in the same situation and boost the club, by setting up Ready, Steady, Go Pitreavie. The group has grown to include eight leaders, working on an integrated pathway with the club’s endurance section, PAACE. There is now a full progression from complete beginner to competitive runner, with PAACE growing from around 30 members to 120 as a result. It is a fantastic example of jogscotland group and scottishathletics club working together to achieve great things. The group has been very active in promoting the mental health benefits of physical activity, taking part in both SAMH’s project ALBA and the Sammy’s Road Trip initiative. JSK are passionate about the mental health benefits of running. Among the sessions they offer is a monthly men’s social run which encourages male runners to talk openly about anything, including their mental health. All the leaders have received the mental health training offered by jogscotland and SAMH, or themselves have lived experience of mental health problems. The ethos of the group is to make members feel comfortable being open about their wellbeing. Nominations included one from a member who had received one-to-one support from leaders to enable her to attend group sessions after a bad spell of anxiety and depression. The prison hosted a Jog Leader course in May 2018, training two members of staff and six prisoners. They set up a Couch to 10K programme, running laps of the football field and prison every Wednesday morning. Both leaders and joggers improved not only their physical, but mental health considerably, and had a knock-on effect on the wider prison population, with banter from the so-called “window warriors” who looked on – and a waiting list for the next programme. Ciaran has autism, learning difficulties and epilepsy, with limited communication skills which can make it hard for him to fit into groups. This can also make him very anxious and stressed at times. However, since joining Tain Joggers with mum Angie, he has fitted in brilliantly, completing 5K and 10K races and becoming a much-loved member of the group. It has boosted his confidence and helped him reduce his anxiety and stress levels – he is so happy when out for a jog that he often has a fit of the giggles while running!